Here yee! Here yee! 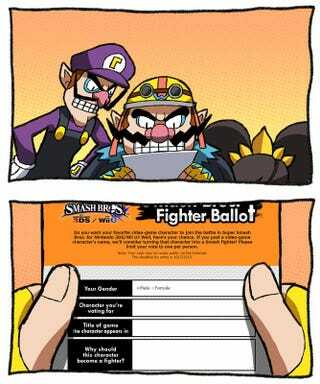 It’s the last day to vote for the Sm4sh Fighter Ballot. If you haven’t voted yet, go vote for Shantae or Wolf because they could always use some more votes. If you’ve already done that you get a cookie.